Tip: Ride a bike or walk. It’s going to be 75º at 6pm tomorrow. Each month Nest Realty hosts a social soiree to benefit a different organization or charity. 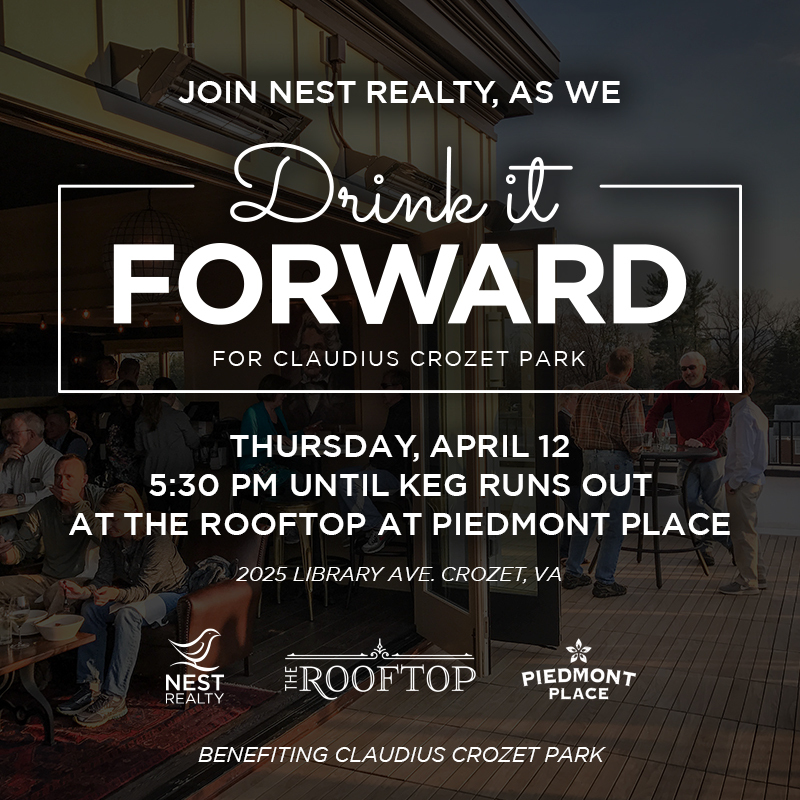 This month we’ve teamed up with Piedmont Place to benefit Claudius Crozet Park, Inc.
Thursday, April 12th, starting at 5:30pm, we’ll have a keg tapped and flowing at The Rooftop Crozet. All you have to do is ask for the Nest keg! We’ll have a donation box available that you can drop a $5, $10 or $20, if so moved. *real estate disclosure: many readers know that I am a realtor and Partner at Nest Realty. Next PostNext Eastern Avenue Coming … Soon?